Kim Dae Jung is a former Korean President and a Nobel Peace prize winner. Find more on his life in this brief biography. Kim Dae Jung, the fifteenth President of Korea is mainly known for his opposition to and lifelong struggle against the authoritarian rule in Korea. He was most significant leader who took the nation wide pro-democratic movement on to another stage despite several hurdles laid by the authoritarian government. Having failed in his two attempts to come in power, Kim had endured several other troubles and trails before he was finally elected to the presidency, including abduction, several house arrests and at least five attempts on his life. In December 1997, when he was finally elected to the presidency, the country was amid its worst financial crisis. Kim, as President took the helm during its most crucial phase and hauled the country back from the verge of collapsing. The process of reformation and reconstruction that Kim started many years back still continues in Korea. The former president received the Nobel Peace Prize in 2000 and became the first Nobel Laureate from Korea. Kim Dae-Jung was born on 3 December 1925 in a small village of South Jeolla in South Korea and received his graduation degree from a commercial high school in 1943. His career in politics started during the administration of Syngman Rhee, who was the first president of Korea. After two unsuccessful attempts, he was elected as a representative to the National Assembly in 1961, but the assembly was dissolved by a military coup led by Park hung-hee who later established himself as a dictator. 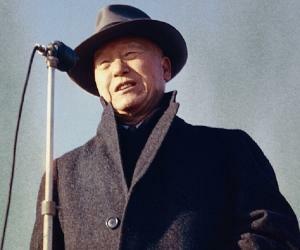 Kim Dae Jung’s political career took a head start when he won a seat in the house in the two subsequent elections in 1963 and 1967, thus becoming a distinguished opposition leader. He was appointed the spokesman for the Democratic Party in 1965 and the following year he was made the chairman of the Party’s policy planning committee. Kim Dae Jung contested for the presidency against Park in 1971. Though he failed in his run for the position, he successfully gave a close chase to Park. A great orator he was, he gained unwavering loyalty from his party members and his native place Jeolla, where he received a record % of the popular vote, which has remained unsurpassed in South Korean politics. Within less than one year after coming to power, President Park imposed martial law in the country, banning all political activities and forcing a so called revitalizing reform through the National Assembly. Kim along with his party members objected to these tactics to attain power and led campaigns against Park in the U.S. and Japan- which apparently became a factor behind in his abduction in August 1973- when he was kidnapped by agents of Korean Central Intelligence Agency from a Tokyo Hotel. He was released in a week after the U.S. and Japan intervened and was placed under house arrest. On 1 March 1976, Kim was arrested for instigating a pro-democracy demonstration and was sentenced to 5 year imprisonment but was released in 1978; facing another house arrest for the second time. Following the assassination of President Park by his close aids in October, 1979, Kim had his civil and political rights restored. However within a few months, another group of soldier seized power and Kim was again thrown into jail on the charges of treason. Initially, he was sentenced to death by a military court which was altered to life imprisonment and later, was changed to 20 year prison. In December 1982 his prison term was suspended giving him exile to the United States. During his exile to the U.S. Kim lived in Boston, Massachusetts and lectured at Harvard University as a visiting faculty to the Centre for International Affairs. Upon his return to Seoul in 1985, he was arrested and put under house arrest yet again but his return fueled the pro-democracy movement in the nation. In 1987, all charges against him were suspended and his political and legal rights were fully restored. 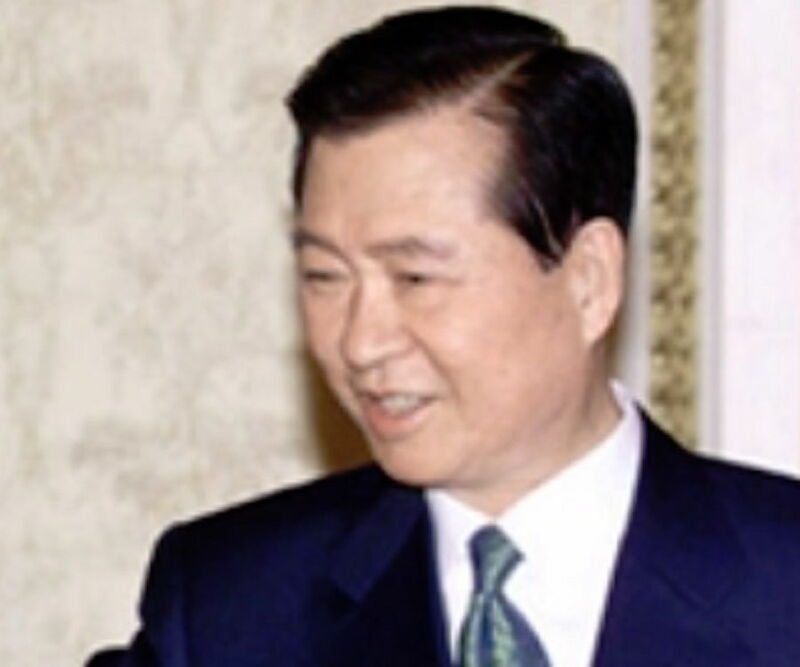 In 1987 Presidential elections, Kim Dae-Jung was defeated by Roh Tae-woo. He faced a third failure in the 1992 elections, when he was defeated by Kim Young-sam, who won the presidency. Disheartened by these initial failures, Kim-Dae-Jung took a temporary hiatus from politics and moved to the United Kingdom, where he served as visiting scholar at Cambridge University. 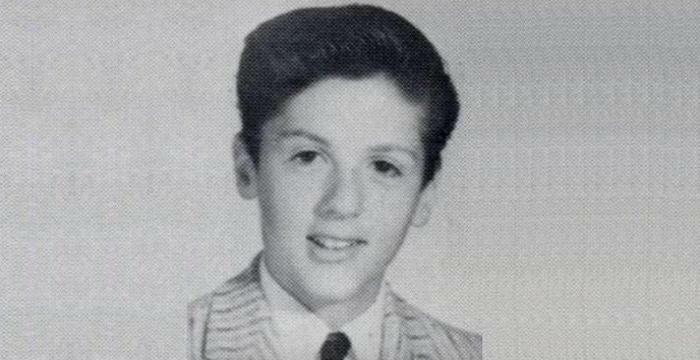 However, he returned to politics in 1995 and sought to run for the presidency. As the Asian financial crisis hit the country, crushing its economy, a revolt broke out against the Young-sam government just weeks before the election. The situation became constructive for him to win the election held in December 1997 and he easily defeated Lee-Hoi-chang, Young-sam’s descendant. 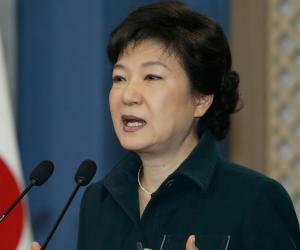 Kim Dae-Jung was sworn in as the fifteenth President of South Korea on 25 February 1998 after a controversial victory. 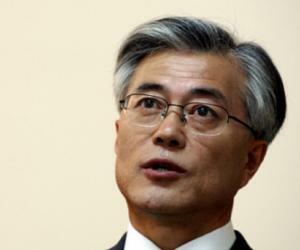 He took charge of the office when the economic crisis had reached its peak in South Korea. Kim briskly pushed economic reforms recommended by the International Monetary Fund and employed effective measures to revitalize the declining economy. His policies brought transparency in the accounting practices and subsidies to large corporations were dropped or cut altogether. The country witnessed a phenomenon recovery from the Asian Financial Crisis under his administration although many believe that the recovery was inevitable. Kim is credited with his successfully negotiation with North Korea; adopting a policy that has been termed the Sunshine Policy. However, North Korea violated the term of the engagement policy by developing nuclear weapons and has not withdrawn the North Korean Troops; Kim’s visit to North Korean premier Kim Jong-il led to his winning the Nobel Peace Prize in 2000. Kim Dae-Jung completed his five year presidential term in 2003 to be succeeded by Roh Moo-hyun. Kim Dae-Jung was born on 3 December 1925. He completed his graduation in 1943. He was elected as a representative to the National Assembly in 1961. He won a seat in the house in 1963 and 1967 elections. He was appointed the spokesman for the Democratic Party in 1965. Kim was made the chairman of the Party’s policy planning committee. Kim failed in his run for presidency against Park. He was kidnapped by agents of Korean Central Intelligence Agency. Kim was arrested and sentenced to 5 year prison. He was released in 1978 and placed under house arrest. 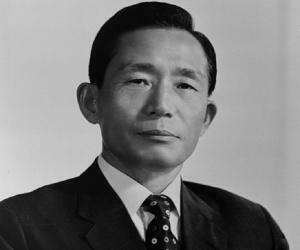 President Park was assassinated in October, 1979. His prison term was suspended giving him exile to the United States. He returned to Seoul where he was arrested and put under house. He was cleared of all charges and his political and legal rights were restored. Kim Dae-Jung was defeated by Roh Tae-woo in the Presidential elections. He was defeated by Kim Young-sam in presidential elections. He returned to politics in 1995. 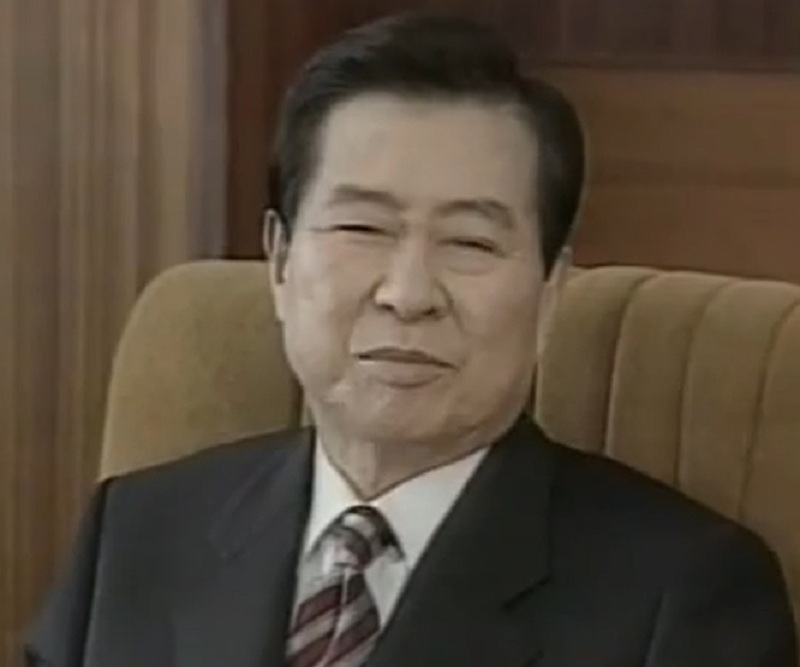 Kim won the Presidency in December 1997. Kim Dae-Jung was sworn in as the fifteenth President of South Korea on 25 February. Kim was awarded the Nobel Peace Prize in 2000. He completed his presidential term of 5 years in 2003.